Brian Cody’s team are set to face Galway this Sunday. Shefflin has recovered from injury to take his place in the side. KILKENNY HURLING LEGEND Henry Shefflin is back in the side for their Walsh Cup semi-final against Galway this Sunday. Shefflin has struggled with injuries in recent times, but is back as part of an experienced half forward line, which also includes Colin Fennelly and Eoin Larkin. However, combined with the experience of Shefflin and co, the Kilkenny side also includes relatively new faces, including Shane Prendergast, Michael Walsh and Joey Holden, who are all retained from the side that beat Dublin IT last week. 1. Eoin Murphy (Glenmore); 2. Shane Prendergast (Clara), 3. Michael Walsh (Young Irelands), 4. Conor Fogarty (Erins Own); 5. Joey Holden (Ballyhale Shamrocks), 6. Brian Hogan (O’Loughlin Gaels), 7. Paul Murphy (Danesfort); 8. Aidan Fogarty (Emeralds), 9. Paraic Phelan (Emeralds); 10. Henry Shefflin (Ballyhale Shamrocks), 11. Colin Fennelly (Ballyhale Shamrocks), 12. Eoin Larkin (James Stephens); 13. Jonjo Farrell (Thomastown), 14. Mark Kelly (O’Loughlin Gaels), 15. Liam Ryan (Clara). Subs: 16. David Herity (Dunnamaggin), 17. T J Reid (Ballyhale Shamrocks), 18. Tomás Keogh (James Stephens), 19. Tommy Walsh (Tullaroan), 20. Brian Kennedy (St Lactains), 21. David Langton (Clara), 22. Jackie Tyrrell (James Stephens), 23. Thomas Breen (St Martins), 24. Matthew Ruth (James Stephens). 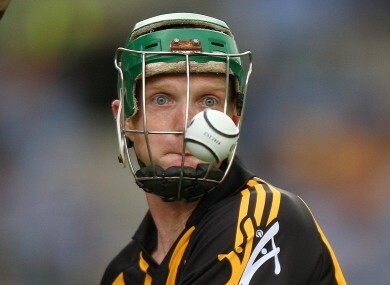 Email “Henry Shefflin back in Kilkenny side for Walsh Cup semi-final ”. Feedback on “Henry Shefflin back in Kilkenny side for Walsh Cup semi-final ”.